On August 3, 2017, the St. Petersburg City Council voted to approve funding for two innovative new programs – a Solar Co-Op program organized by FLSUN and the League of Women Voters, and the Solar and Energy Loan Fund (SELF) – that should help to make renewable energy and energy efficiency projects more affordable for a larger number of households in the local community. The programs will be funded using monies provided to the City as a result of the BP ‘Deepwater Horizon’ oil spill that occurred in the Gulf of Mexico in 2010. The next step for the City of St. Petersburg will be to develop legal agreements to guide the implementation of the two new programs. Both are hoping to begin work in late 2017 or early 2018, and the SELF program is currently seeking to hire a Solar Energy Loan Officer to staff its St. Petersburg office when it becomes operational. A copy of the SELF job description can be viewed here. SELF can also accept online applications from local homeowners who wish to consider applying for loan funds and from local energy-efficiency and renewable-energy contractors who would like to be considered to participate in the project. If you live in St. Petersburg please consider contacting your City Council Members to thank them for supporting these programs. Click here to visit the City Council website; all City Council members can be reached by a single email sent to council@stpete.org or by calling 727.893.7117. Emails to the Mayor can be sent to mayor@stpete.org. If you live in other parts of the Tampa Bay region please consider contacting your city and county officials to encourage them to adopt similar programs in your area. Relatively low-cost projects that improve the energy efficiency or reduce the use of grid energy by older buildings, such as installation of LED lighting or insulation/weatherization upgrades, can be “cash flow positive from day one” if the cost of the upgrade is less than the cost of the energy it saves. Larger projects, such as installation of electricity-producing solar photovoltaic (PV) panels, are more costly and often take six to eight years to reach the “simple payback” point where the value of the energy produced exceeds the cost of the installation. The financial bottom line for such projects tends to be site-specific and dependent on a number of geographic, political and accounting issues (e.g., https://arstechnica.com/science/2017/02/solar-power-is-it-for-you/). Once constructed, though, such improvements have the potential to reduce energy bills for twenty-five years or more, providing long-term cost savings and investment returns for a building’s owners. In addition to their financial benefits, energy efficiency and renewable energy improvements also promote community sustainability by making buildings more livable and reducing emissions of greenhouse gases and other pollutants associated with fossil fuel use. Despite their long-term financial, social and environmental benefits, however, the need to provide up-front capital to fund energy-related building improvements has restricted the size of the market in many parts of the U.S. While relatively well-to-do households have the economic resources to undertake such projects, people with low-to-moderate incomes (LMI) are often unable to do so due to limited capital and the difficulty of obtaining affordably-priced financing. This is particularly true in Florida, which lacks a number of the pro-renewable-energy financial incentives found in some other parts of the country. In the Tampa Bay region it appears that more innovative financing tools are needed to help expand the market by making such projects affordable to a broader cross-section of the community. The two programs that were recently approved for funding by the City of St. Petersburg should help in this regard. They have the potential to increase installations of solar PV panels for electricity production, as well as energy efficiency improvements such as insulation, HVAC and lighting upgrades. In addition to helping the city meet its recently-adopted ‘100% Clean Energy’ goals they could also produce other benefits, such as increased installation of hurricane shutters and other wind mitigation measures and (possibly) funding to help address the leaking sewer laterals that have contributed to the city’s sewer system woes in recent years. Brief summaries of the two programs are given below. For more detailed information, interested readers are encouraged to view presentations that were given to the City Council’s Energy, Natural Resources and Sustainability (ENRS) Committee on June 15, 2017. A video of those presentations, which runs for approximately one hour, is available on the city’s website. (A video of the August 3rd Council meeting is also available on the same site.) The information below was excerpted from the June 15th presentations and other material provided by the city and the two organizations. The LWV has partnered with the Community Power Network (CPN), a national not-for-profit organization that helps communities develop solar co-ops, to create FLSUN (Florida Solar United Neighborhoods), the entity that administers the Florida solar co-op program. Co-ops increase the affordability of solar energy by allowing members to buy in bulk through a competitive process. By purchasing solar as a group, the program partners have found that the cost of a residential solar PV system can be reduced by up to 20%. In addition to reducing residents’ monthly utility costs and increasing energy independence, the program also seeks to strengthen Florida’s nascent solar industry. The Florida solar co-op program was initiated in Orlando in 2015 and expanded to St. Petersburg in 2016. In six months the initial program in St. Petersburg enrolled 230 households and contracted 55 residential installations averaging 7 kilowatts of electric power production per system. Since that time six additional co-ops have been established across Florida, with 12 more scheduled to launch in the next several months. One of those will be a second St. Petersburg co-op, which is expected to generate considerable local demand. To meet that demand, FLSUN and LWV have requested a one-year, one-time grant of $75,000 to develop a full time program focused on St. Petersburg solar co-ops and solar installations. More information on the proposed project and related issues are available at the City of St. Petersburg website noted above and at http://www.flsun.org/st-petersburg/ and http://www.flsun.org/2017/01/06/fl-sun-and-st-pete-solar-co-op-recognized-at-100-st-pete-celebration/. Disability products (e.g., wheelchair ramps and walk-in showers). In FY 2016 SELF grew 24% from the previous year, reaching just shy of $5 million in total lending since its inception. As of Sept. 30, 2016, SELF had raised $5.32 million in loan capital for the residential lending program from 19 investors in five categories: government grants, faith-based organizations, banks (CRA investments), crowdfunding and impact investors. SELF has also secured $1 million for the St. Lucie County Commercial PACE program (which it administers for the county) and another $2.38 million in grants and partner contributions. The total amount raised by SELF between loan capital and grants was $8.7 million. Completion of a Target Market Assessment for the local jurisdiction. Participation in 10 community events and targeted outreach programs per year. Recruiting and supporting area contractors and providing financing for energy conservation and efficiency, clean energy, climate resilience, water conservation and water quality improvement projects. Financing an average of $1,000,000 per year of sustainable home improvement projects, with a minimum of 60% of the lending activity in low-income target markets, targeted populations, and investment areas, as set forth by the CDFI Fund. Working with KIVA.org to expand SELF’s line of credit and crowdfunding programs for local veterans and women. Collaborating to the greatest extent feasible with job training programs in the City. Partnering with other non-profits and interested parties to provide a minimum of two credit rebuilding seminars per year. Providing the City with quarterly impact reports, and being available to meet with City staff and elected officials on an as-needed basis. 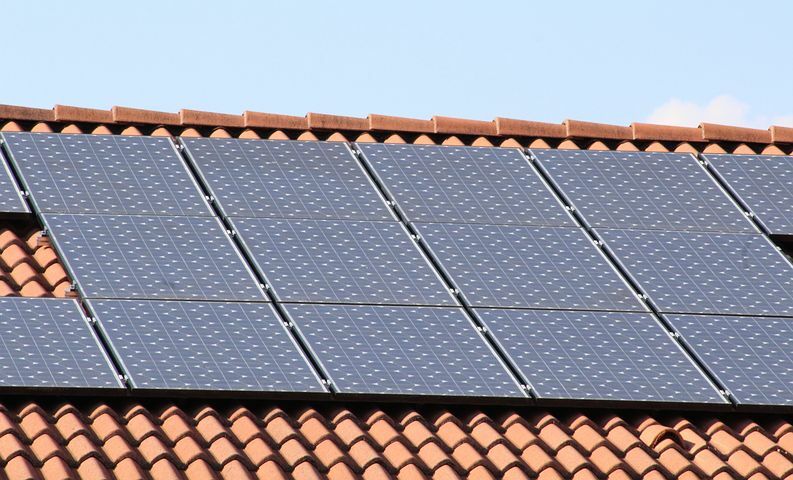 More information on the SELF program is available at the City of St. Petersburg website noted above and at http://cleanenergyloanprogram.org/, https://youtu.be/kPyFS15ETlE, https://energy.gov/savings/st-lucie-county-solar-and-energy-loan-fund-self, http://www.orlandosentinel.com/business/os-cfb-talking-with-coward-29-20150208-story.html.